Continuing the list of ten reasons not to get too excited about the feedback you get right after preaching . . .
4. The “church culture” mechanism. Different churches have different cultures. Some will automatically affirm and honour the preacher in a laudatory manner. Other churches will engage the preacher about life and family with barely a mention of the message. Try to discern a local church pattern before getting excited or devastated by what you hear. 5. The “surrogate leader” reality. Sometimes a person will gravitate toward a preacher because they yearn for the spiritual leadership and sensitivity they perceive in that preacher. Perhaps their own husband is very weak, or perhaps their Dad is absent . 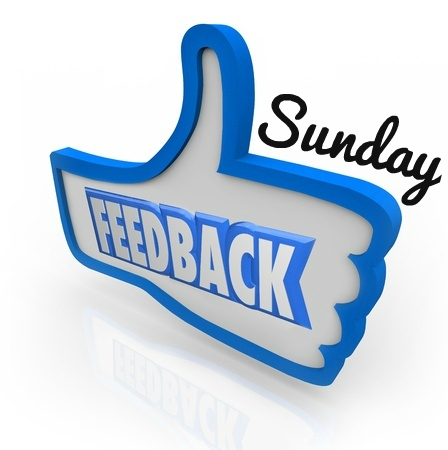 . . it could be a middle-aged wife or a teenage boy, but sometimes the praise and feedback is more about what they don’t have in their life than about what you brought in your sermon. 6. The “single preacher” reality. I’ve been married for fifteen years, so I feel out of touch on this one, but . . . if people respond to perceived spirituality when they know you are married, and if there is a lack of spiritual, godly, single men in the church (which there is), then I suspect preaching as a single man will get some feedback from the odd one or two that is more fishing than genuine feedback. Just saying. 7. The “life appreciation” reality. This is more likely in your own church than in one you visit. It is where a church member really values who you are as a person – you love their family, show interest in their teenage son, buried their grandmother, or whatever. They appreciate you. Your preaching may be dire, but they want to love you and so affirm your sermon because that is easier than explaining what your presence and love means to them. We’ll finish the list next time.